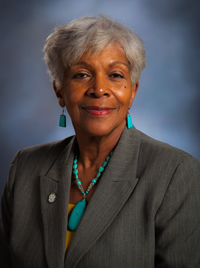 Dr. Juanita Simmons serves as the first Vice President of diversity, equity, and inclusion at Northwest Missouri State University. This new role was designed to help broaden diversity, equity, and inclusion efforts campus wid e for students, employees, and impact community initiatives. Prior to her time at Northwest Missouri State University, Dr. Simmons served on faculty at the University of Missouri-Columbia, teaching educational leadership and policy analysis. Previously, she served in various administrative roles in the Austin and Dallas, TX, independent school districts. She was also a high school English, journalism, and humanities teacher in the Dallas Independent School District. 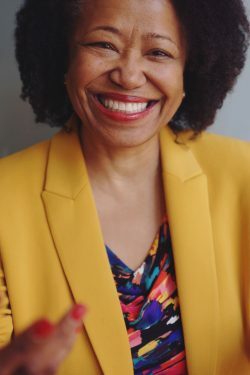 She has a book under contract about emancipated leadership, holds numerous professional certifications and has earned an array of institutional honors. Her résumé includes several refereed articles, book chapters, conference proceedings and presentations. She also has been awarded a variety of grants and contracts. She has Ph.D. and master’s degree, both in educational administration from the University of Texas-Austin. She earned her bachelor’s degree in English and speech from Midwestern State University in Wichita Falls, Texas.